Thanks esc. The 3K price is a fully loaded unit. That's from Quick Performance. They sell a factory Ford housing, converted to bolt into the 3rd gen F-body, with Moser axles for $995. They also sell a nodular case with Eaton posi for about $800. The 3K price includes their lighter, stronger fabricated housing, gun drilled axles and aluminum Yukon case with Truetrac. It's about the best 9" ford swap available in the power level I'll be running. I know the ford 9" is a heavier unit than the stock or the Dana 44. I figure if I'm going to go the 9" route, the lightest option is the best option. It took me quite a few years and a missed opportunity to find mine. I wanted a bolt in unit that would use the factory brakes without hassle. Also, wanted the "vintage" speed part for my car. I can appreciate wanting the factory part. Factory stock, but better. I can't comprehend that, as long as I've been involved with GM, I never knew the Dana 44 was available from GM Performance. I've owned 3rd gens since 1982. Worked for GM in the early 90s. I bought my 87 IROC 20 years ago. I just wasn't looking closely enough back then I suppose. I have settled on a 9" from QP. I was at 3K shipped for a way overbuilt unit. I trimmed back just a hair to a unit that will still be more than I'll ever need and the price is down to 2.7K. It will be about 5lbs heavier than the stock 7.5" and will handle over 600hp. I'm okay with swapping in the Ford rear axle as long as it fits clean. My current rear brakes are the 2002 Z28 kit from Fly N Bye. I may have to work on the brackets to fit the QP housing but I'm getting it with 4th gen housing ends so it shouldn't be too far off. I installed these brakes with the Fly N Bye 13" rotors and 4 piston Wilwood fronts. I am always saving money aside for one thing or another for the IROC. It's an on going project that will never be complete. When I'm too old for it, it will go to my son. I have money saved to replace the 18 year old Koni struts and install new upper strut mounts. The struts will have to be bumped to second in line while I take care of the rear axle. Hope to have it ready to go again for next summer. Last edited by ASE doc; 09-13-2018 at 11:02 AM. I would have no problem with an 8.8 too, I just don't like the hawks one. Having a bunch of plate welded to a cast iron center section with some through bolts to add strength, to me that just seems like a hack job when for pennies more you can get a 12 bolt or S60, or if you look hard enough, a 44. I wouldn't exactly call it pennies more to go 12 bolt or S-60. The weld on mount if done properly isn't big deal, I got about 75% done with a fourth gen swap before I gave up- because I sold the car and bought a low mile WS6 formula, then I didn't need it. the biggest problem is being able to heat the pumpkin and weld it hot with nickel rod. I presume whoever is making these for Hawks is well aware of this, welding cast iron isn't impossible it just takes good preparation. A lot of people that have done this in fourth gen world without issues and 8.8 are plentiful, affordable and stout. 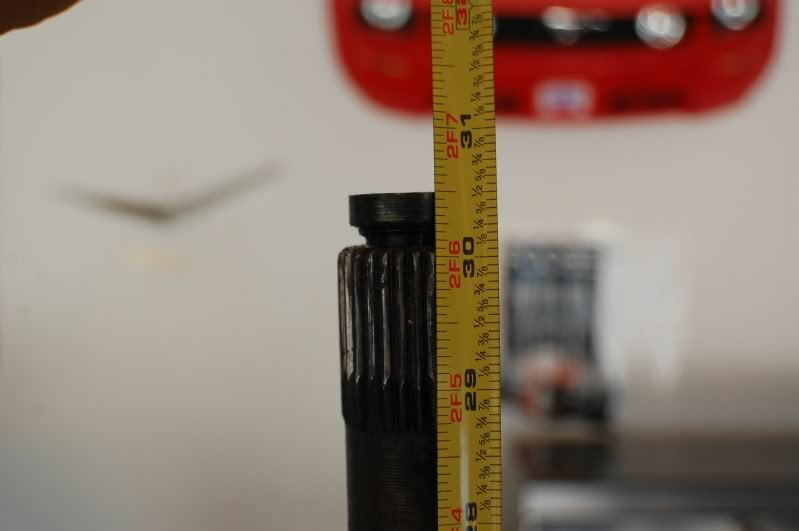 It's entirely likely that there are two different sets of axle lengths. 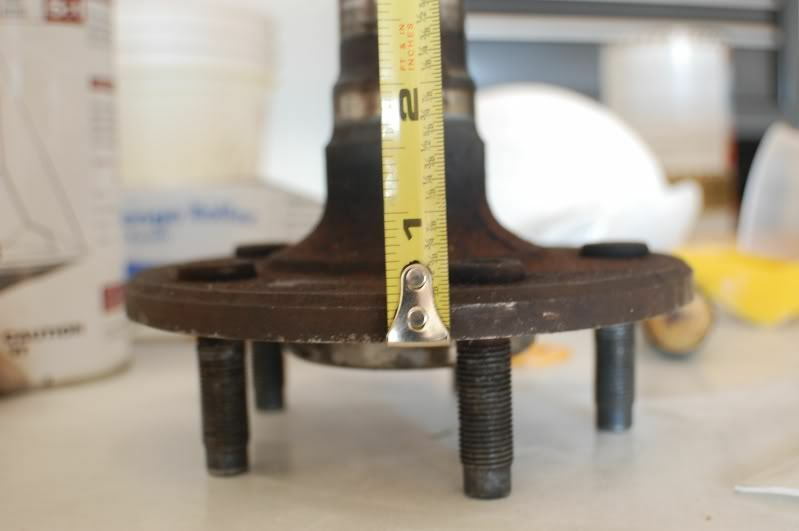 It was pointed out in this thread that there is an "early" and "late" style configuration to the axle ends where the bearings, seals and retainer are arranged. This could result in slight differences in overall length. My measurements came from the engineering drawings that I have from Dana. Well Skinny I guess my question really was did anyone measure their axles with a tape? Yes. That would be good to have. I'm pretty at least one poster here measured and was looking to have some aftermarket axles built. I'll nose around and see if I can't dig up some info. And if can find my drawings (Dana drawings that is) I'll post what the results are. This is about the only info I could come up with. Sorry about that. I was so excited to find any dimension that I posted without thinking. One person in this thread had been in touch with Moser regarding having something made. Maybe there's some info there. I haven't been in garage long enough to pull my axles yet. Think I have 2, a early and late production rearend. Mines out of the car now but I have to make room I use a 30? gallon metal barrel to set them on to do tear downs and rebuilding, I should be able to do it this weekend when the 8.5 is gone that I'm building now. I talked to Moser about repairing them and putting stock 12x1.5mm studs back in it, Drew suggested getting new axles so I thought I'd check on new $$ - that would probably cost triple what Moser quoted to fix em but one less shipping fee -Just thought I'd ask if anyone had ever Last I knew I used to get jobber pricing from Tom's diff but he recently past and the daughter is running it now and she's not up on this like Tom was- "Happiness is a Tite Posi"
Last edited by zman1969; 01-12-2019 at 07:15 PM. I had a chance to pull my dana apart this weekend and I'm glad I did. I noticed the spacers were adding waaaaay 2 much end play with the axles. With the tapered bearing it would have caused bearing failures and leaks. When I removed the spacers (between the backing plate and axle flange) I noticed the driver side was thicker than the pass side. The axles still have a very slight amount of play without the spacers. Need to make a call to spicer and find out how much preload or play the axle bearings should have. What spacers are you referring to? The later version of the D44 I have(apparently;y from the posts in this thread there are two iterations) has no spacer to speak of. Then again, maybe I'm missing something. Last edited by skinny z; 04-08-2019 at 08:51 PM. If you go back to the picture I posted, there is a spacer between the axle flange and the backing plate. I'm not sure if it came with the rearend or what but it def didn't need to be there. Having another look at your backing plate arrangement leads to think that's how the previous owner centred the caliper over the rotor. Does that makes sense? Without that shim, the rotor is in the same spot relative to the centreline of the car. Adding that shim would push the inner pad closer to the rotor. In my case, I added the shim between the caliper and backing plate/caliper. A 30 thou shim washer on one side and maybe half off that on the other. It came from a firehawk supercar race team so who knows for sure. That's not a good way to center that bracket but I'd bet you'd be correct. It would have failed if run for sure. Waaaay to much in/out play on the axle. I think it should have a bit of preload and 0 play in/out but I haven't found any spec for that yet. I am interested in seeing how this works out for you Tony. My dana had the iron caliber brakes on it when I got it, and no spacers of any kind. I am still on the hunt for a set of PBR backing plates, then I am going to assess the bearing and preload situation from there. I have a very cool dana spicer certified installer that I have used a ton of times, and I think I’m going to get all of my parts rounded up, and brakes fitted, then take him the entire rear and and have him set up new bearings, seals, and get it ready to slide under the car.